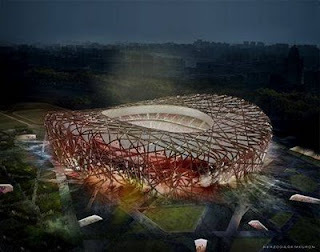 The Beijing Olympics, among other things, have turned a spotlight on the rising economic and political power of Asia. The Chinese government response to the Tibet issue and its dismissive stance towards accusations of human rights abuses, as well as the incapacity of Western powers to offer anything more than symbolic objections, indicate that Asian values are not going to bow down to Occidental influences. A recent conference on in Seoul, the International Forum on Bioethics and Asian Culture, underscores this development. One of the key themes of the conference was how UNESCO's Declaration on Bioethics and Human Rights applied to Asian culture, given that the Declaration aims at having universal application. Some speakers pointed out that the centrality of family in Asian culture, also in medical decision-making, was not at all prominent in the Declaration: the term 'family' does not appear in the document at all, which seems to expose an individualistic bias in the text. Others noted that the Declaration has much to say about rights, but little to say about duties, again raising the accusation of a 'Western' slant to a purportedly universal code of bioethics. Ditto for the prominence of respect for persons in the Declaration, and its faint attention to respect for authority, government, and religious tradition. Of course, the sharp contrasts between the values in the Declaration and Asian values break down at closer inspection: the world of values is a messy place, respecting no man-made boundaries, with plenty of mixing, matching and cross-pollination. Still, it is not clear how a truly universal declaration of bioethics is supposed to emerge from the global plurality of values, and still be relevantly applicable to it.